War reporters do an important job but the toll can be high – everyone I met had broken relationships and an unhealthy addiction to the adrenalin of battle. Living quietly now in Sydney's suburbs it is easy to forget the time I was a tyro war correspondent. 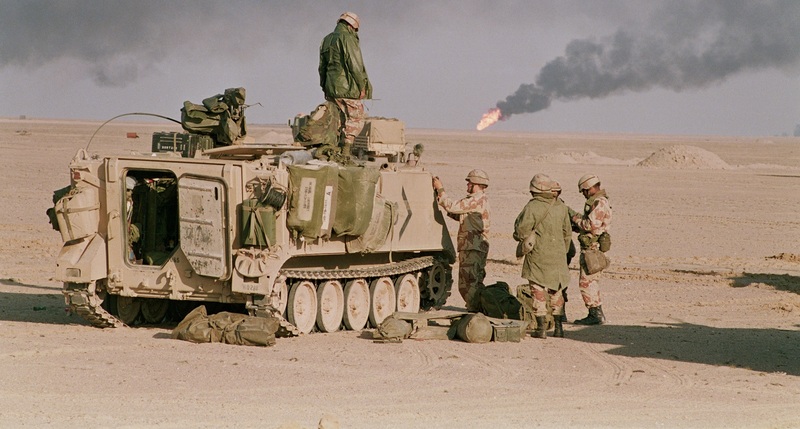 That was 1991 and, while working in London as a finance reporter, I had the crazy/brave idea to down tools, head to the Middle East and do some freelancing during the First Gulf War. It did not start well. My mum was stricken and over the phone to Sydney started to cry, scared her only child would be killed. Likewise, my girlfriend was unimpressed and sniffed that I was off on a great adventure without her. What about visas and flights and accreditation? I hurriedly arranged some strings (journo talk for a loose arrangement to take overseas copy) with the ABC, The Bulletin magazine and my old paper, the Australian Financial Review. A visa to Saudi Arabia proved illusory and the war made flights prohibitive. The only way to get to the the Middle East, it became clear, was a seat on El Al to Tel Aviv. I was a lad in my 20s - amiable, trusting, possibly naïve. I lobbed up to Heathrow Airport expecting to be waved through security. What unfolded was a two-hour interrogation, where Israeli officers cross-examined me, analysed absolutely everything in my bag and stripped me to my underwear. I made the flight eventually and sat next to an Orthodox Jewish family whose mother, not long into the trip, began arguing with flight attendants that while all meals might be kosher, her family's were not kosher enough. The highlight was our plane touching down in Israel and everyone cheering and clapping and crying that they had arrived safely in the Promised Land. I got into Jordan and spent three weeks during Ramadan waiting on a visa to Syria. That time was interesting but no party, with eating and drinking outlawed during daylight and not much in the way of western entertainment. Damascus was run by the French and is a beautiful city. But during my time in Syria I was tailed constantly by police who quizzed me on my reporting and likely meetings. I made friends with journos from the Detroit Free Press and Philadelphia Inquirer, who were headed to northern Iraq and allowed me to free-ride on their big expense accounts. Over Easter 1991 we drove north-east to the Iraqi border, first to the Roman city of Palmyra (since demolished by ISIS) and then on to Qamishly where we entered disputed Kurdish land and were duchessed around by charming and multi-lingual Peshmerga fighters. They took us across the border into Iraq where our Kurdish hosts played the propaganda war showing us reporters their readiness to fight (I fired a AK-47), along with the misery Iraqi soldiers had inflicted on the local people. Nothing prepared me for the sight of kids with phosphorus burns and bullet wounds. I was homesick but the seasoned practitioners with me lapped it up. It was then I realised covering wars was not for me. There might be the danger of death but the constant travel, loneliness and dislocation would, I sensed, wear me down. War reporters do an important job but the toll can be high – everyone I met had broken relationships and an unhealthy addiction to the adrenalin of battle. My mate from Philadelphia bought a Syrian painting but then realised, as he traveled full time, he would never really get to enjoy it. I was ready for routine. I flew back to London into my girlfriend's embrace and the calm monotony of the sharemarket. Could Beijing’s new governance method erode trust between the public and the Party? Hun Sen is preparing for next year’s elections, which means that he's determined to undermine, denigrate, and punish all those he sees as political enemies.